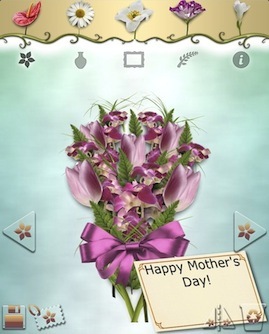 Mother’s day is coming up soon and I thought it would be nice to prepare a review of cool iPad related gifts for Mother’s day for all kind of budgets. About a month ago I published E-Cards for Mothers Day. Sending E-Cards and buying flowers is a great way to get started. If your mom (or wife…) already has an iPad, this might be a good opportunity to enhance her experience with new accessories, Apps, books or music. People who liked this post also liked Buy an App as a gift. How to Cook Everything – Culinate, Inc.
iCookbook – thousands of name-brand recipes with easy Voice Control prep – Publications International, Ltd.
For more accessory ideas have a look at iPad Care. If you have doubts about which iPad to get, have a look at Which iPad should I buy? FULL DISCLOSURE – I am an associate seller for Amazon and iTunes. This means that if you use these links to buy Apps or accessories I get a small percentage of the price. This will be invisible to you and does not change the price in anyway. Thanks for supporting my work. Do you have any other gift ideas for Mothers Day? Please share them by posting a comment on the form below.